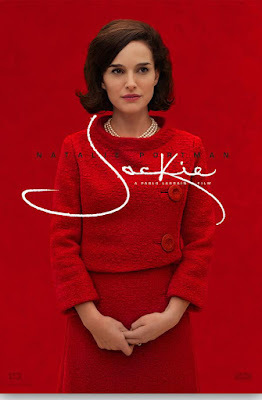 When I first heard that Natalie Portman was going to play former First Lady Jacqueline Onassis, I didn't see it. Don't get me wrong, I have been a Portman fan for years, but I just couldn't see her in this role. But then I realized that was largely due to the fact that I really have no idea who the woman behind the tailor made suits and regal stature was. Was she funny? Was she cold? Was she a drinker? So, when I watched the new trailer for JACKIE, her once elusive character was shattered into about 10 different layers in the under two minute clip that is in equal parts haunting and deeply intriguing. (Plus, Moonlight director Barry Jenkins has been raving about this on Twitter, and an endorsement from him is good as gold).